This portrait's realism and the sophisticated modeling of light and shadow on the sitter's face make it much finer than virtually anything produced in Texas previously. 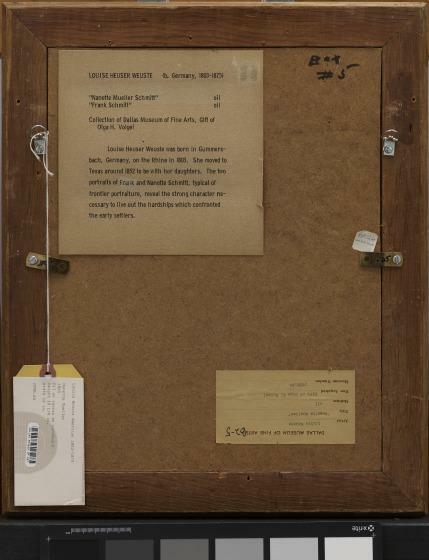 Its small scale doubtless testifies to the scarcities of artists' materials available in the far reaches of early Texas. 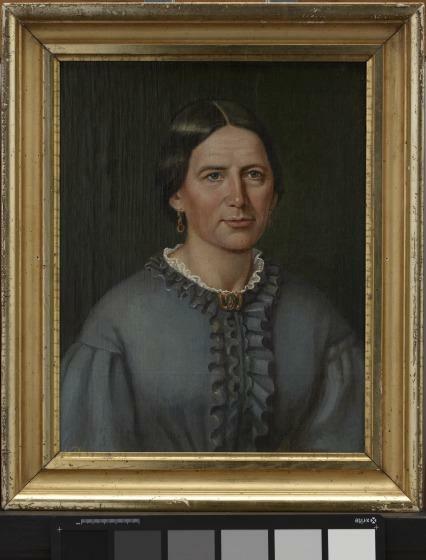 Louisa Wueste was one of the earliest and most accomplished Texas painters. Born in Westphalia, Germany, she studied art at the Düsseldorf Academy, a magnet in the mid-19th century for young American students. 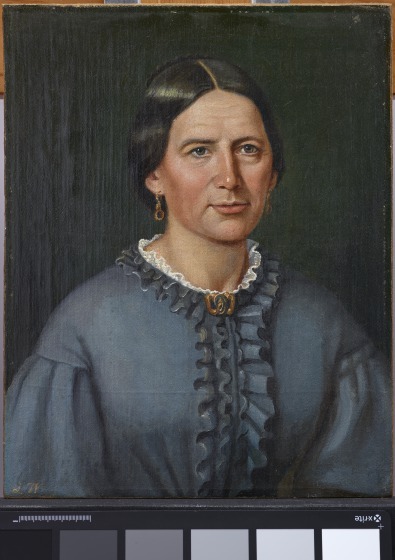 In 1859 she immigrated to Texas with her family as one of many German settlers in the state. 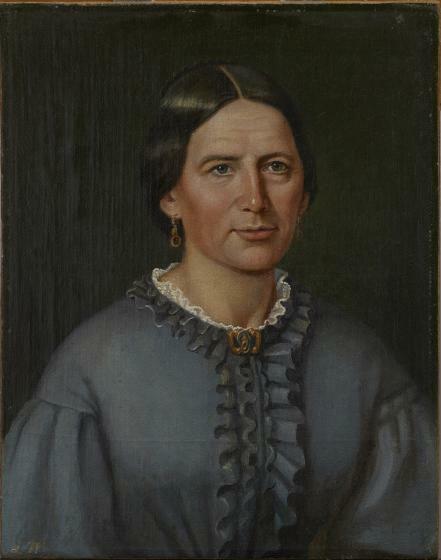 Wueste worked as a portraitist and landscape painter in San Antonio, Galveston, and Eagle Pass.